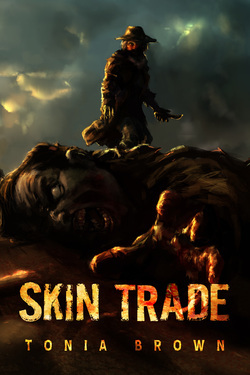 I trapped and skinned my first undead when I was fifteen years old. I wasn’t strong enough to break open the skull bare-handed to get to the brain—a main component of the tanning process—but my mentor helped me along. He was a good soul in that manner—fast to criticize mistakes, yet always quick with a kind word should the situation call for it. We enjoyed an easy rapport until he found out I wasn’t quite the young man I purported to be. That is to say, everything changed between us when he discovered I was a girl.